What is tax audit insurance and do I need it? An unexpected tax audit threatens the vitality of a business. The cost of dealing with such an event in fees and time lost can throw anyone off track. Tax audit insurance eliminates this form of risk for a business or an individual. With coverage from a good insurance policy you are prepared and ready to face an audit without having to face loss. Every business knows it is important to have sound financial records in place in the case of an audit by the Australian Taxation Office or other government agency or authorised body. While one firm may never face such an examination, another may be chosen at random for review. At times, the ATO will target specific industries, increasing the risk of an investigation for certain businesses. There is no way to predict, however, what businesses will be audited or what industries will be targeted, leaving the risk of a tax audit as a burden for all to bear. This means that every firm, no matter how small or large, may want to consider the financial security and peace of mind benefits of having a good tax audit insurance policy in place. What does a policy include? Even with excellent financial records, complying with a tax audit can still be a time-consuming and costly affair. 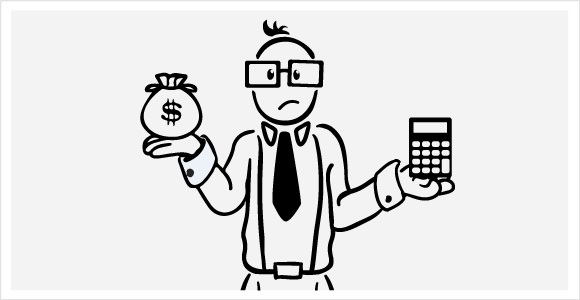 The expense of professional accountant services can easily be thousands of dollars. The time spent tracking down records and receipts and fulfilling any other obligations of an investigation can inhibit the work-flow of a business, raising the overall losses of an audit even more. Expenses are generally covered up to a certain amount, such as $10,000 or $20,000. The coverage limits depend on the size of a business. Tax audit insurance does not include coverage for an audit that is triggered by fraudulent activity. It only offers protection for random, unexpected investigations by the Australian Tax Office or other government agency. If the ATO imposes a final culpability penalty greater than 75 percent, an insurance policy generally will not cover expenses. This is because a high penalty indicates deliberate or reckless tax activity. The costs associated with bookkeeping services that should have been done before a review or audit took place are also not typically included in a policy. Tax audit insurance is an important form of protection for all businesses, large and small. It can be purchased in the form of a stand-alone plan or as part of a broad business insurance protection package. Individuals can also purchase tax audit insurance or they may be included in a businesses’ policy if they are associated with the business. Comparing different policies is the first step to picking the right tax audit insurance plan for you or your business. It is important to look over the specific features of each plan and weigh the cost of the premiums against the benefits of protection. Tax audit insurance is generally an affordable option for most businesses and individuals; it is not difficult to find a reasonably priced plan that offers sound coverage. Although many businesses and individuals will not be audited, being in a targeted group greatly increases the risk of an investigation. Which industries become the focus of the Australian Tax Office each year is unpredictable. One year it may be plumbers and IT professionals, while the next it may be the food service industry. Protecting yourself or your business with tax audit insurance is the key to moving on with your life and your work without having to fear a random investigation. No matter whether you're a small medium enterprise, or one of the big guys- every business needs protecting! From time-to-time unfortunate events occur at work that are out of your control; staff can get injured, websites may be hacked and businesses are sometimes sued. You can’t always predict a company calamity but you can be prepared for the unexpected. See what other types of business insurance are available to your business today! The Internet has changed every aspect of how people live their lives. While it provides many benefits, numerous dangers also lurk on the web. Because of data breaches, information hacks an...... Read more. An unexpected tax audit threatens the vitality of a business. The cost of dealing with such an event in fees and time lost can throw anyone off track. Tax audit insurance eliminates this form of ris...... Read more. Running a business and knowing you are providing an excellent product to society can be a fulfilling experience. Even with the highest standards of service, however, there is still the risk that eve...... Read more. What is business insurance and do I need It? To a business owner, your organisation is so much more than a source of income. It embodies years, sometimes generations, of hard work and devotion. It is the livelihood of the owner and employees. ...... Read more. Mobile phone insurance: A hassle or an essential move? If you've ever lost a mobile phone or had it stolen, you'll know how important mobile phone insurance is.